All Aboard The Polar Express At GSMR! Over 42,000 passengers rode The Polar Express™ with the Great Smoky Mountains Railroad in 2011 and we hope to see you this year! The 1 ¼ hour round-trip excursion comes to life as the train departs the Bryson City depot for a journey through the quiet wilderness for a special visit at the North Pole. Set to the sounds of the motion picture soundtrack, guests on board will enjoy warm cocoa and a treat while listening and reading along with the magical story. Children’s faces show the magic of the season when the train arrives at the “North Pole” to find Santa Claus waiting. Santa will board THE POLAR EXPRESS, greeting each child and presenting them with a special gift as in the story, their own silver sleigh bell. Christmas carols will be sung as they return back to the Bryson City Depot. THE POLAR EXPRESS begins November 9th and operates through December 30th. View the 2012 departure schedule here! SPENCER — Rail fans from as far as Japan and England will descend upon the N.C. Transportation Museum today and Wednesday for what has been hailed as a once-in-a-lifetime opportunity. To commemorate Norfolk Southern Corp.’s 30th anniversary, the Norfolk Southern Heritage Locomotive fleet is on display for a couple of days at the museum. View amazing photos and videos from The Norfolk Southern Corp.’s 30th Anniversary, please visit the NC Transportation Museum’s FACEBOOK PAGE. The Great Smoky Mountains Railroad (GMSR) is pleased to announce the PEANUTS™ Be My Valentine, Charlie Brown Excursion and Valentine Sweetheart Train. 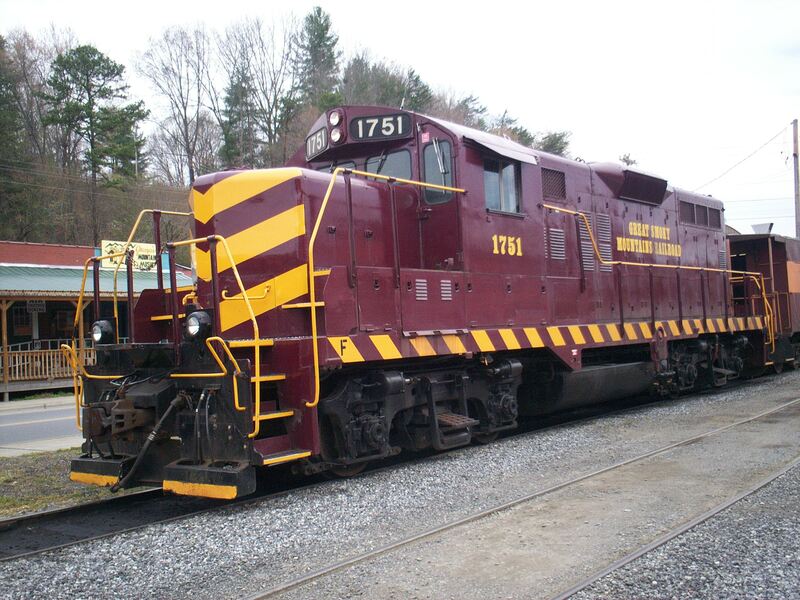 This special event train will depart the historic Bryson City depot on Saturday, February 11th, at 11:00am. 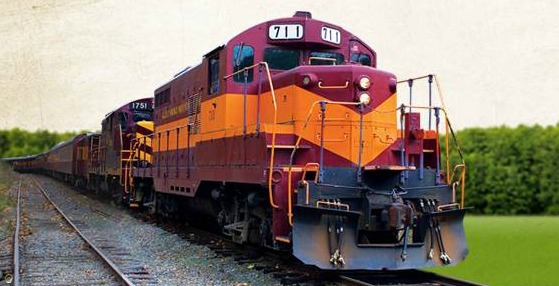 The train will travel along the Tuckasegee River to Dillsboro for a 1 ½ layover. Enjoy special Valentine’s activities as well as a relaxing afternoon in the quaint town of Dillsboro. Passengers will join Charlie Brown, Lucy and Snoopy for old fashioned Valentine’s Day fun based on the popular television episode titled by the same name. Thirteenth in the series, Be My Valentine, Charlie Brown premiered in 1975. Fans follow Charlie Brown’s Valentine’s Day woes as he tries to get noticed by the “little red-haired girl” and receive a briefcase full of Valentines. Festivities for the Be My Valentine passengers include mingling with Charlie Brown, Lucy and Snoopy costume characters, listening to the narrated story based on the television special, and children can create their own Valentine for that special someone. There will also be plenty of photo opportunities, so do not forget your camera! Standard Coach Class adult tickets are $49, children (2-12) are $29, infants 23 months and under ride complimentary. Upgrade to Crown Class seating and receive a souvenir tumbler with unlimited soda, coffee and tea refill! Adult tickets are $66, children (2-12) are $38 and infants 23 months and under are $10. Also available are upgrades to the fantastic Family First Class package! Treat the family to a wonderful Valentine’s train trip complete with a delicious meal for all in your party as well as a special GSMR souvenir and refillable tumbler! Adult ticket prices are $92, children (2-12) are $54, infants 23 months and under are $20. If you’re looking to enjoy a special Valentine’s date with you and your sweetie join us in the Adult First Class for a romantic afternoon! Choose from one of our four delicious lunches served by a private car attendant. Receive a special gift amenity and souvenir tumbler with unlimited soda, coffee and tea refill. In addition enjoy a specialty dessert and long stemmed rose. Tickets for adults are $92. Advance tickets are recommended, as seating is limited. For more information and reservations please call 800-872-4681 or WWW.GSMR.COM. Great Smoky Mountains Railroad: 2011 New Year’s Eve Gala! Bryson City, NC – Bid farewell to 2011 and join the Great Smoky Mountains Railroad in bringing in the New Year! Spend the evening rolling along the tracks while dancing the night away! On Saturday, December 31, enjoy an evening of live music, dancing, dinning and celebration! The terrific duo Alias Smith & Jones will be the featured entertainment for the evening. Alias Smith & Jones is a superb Atlanta-based acoustic guitar/vocal duo whose vast repertoire ranges from the must-have classics to the totally unexpected. Satisfy your tastes buds with an elegant three-course dinner on board a vintage dining car at the Great Smoky Mountains Railroad. Complete the evening with a countdown to the midnight hour with party favors and a champagne toast to 2012! The train will depart from the Bryson City, NC depot at 9:00 pm and will feature the exquisite cuisine of Chef Deborah Douthit. 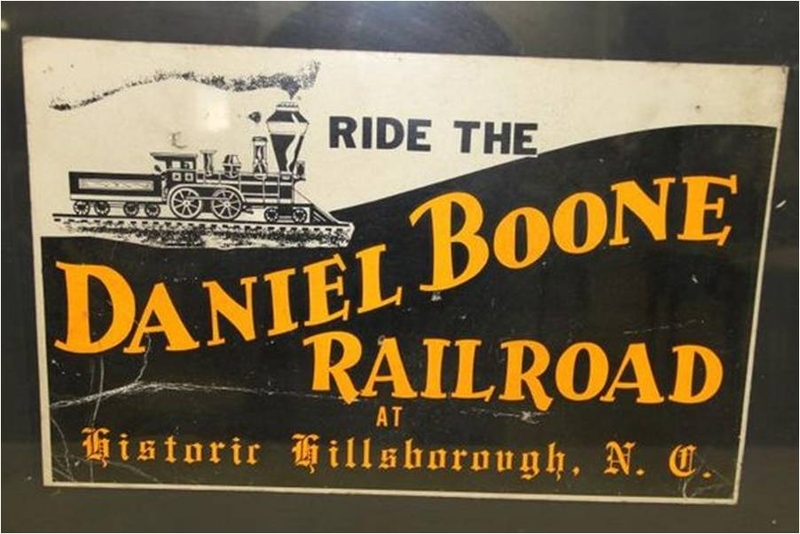 Let the evening begin early with a reception beginning at 7:45pm in the Smoky Mountain Trains Museum with a special selection of beer, wine, and mixed drinks. Enjoy an array of hors d’oeuvres including tiger shrimp with cocktail sauce, button mushrooms stuffed with shrimp and crab parmesan filling, steak and roasted pepper skewers and fruit covered in rich chocolate! After kicking the night off with the fabulous reception boarding will promptly begin at 8:45pm. Once on board the train, first course features a salad made of fresh baby greens in a raspberry vinaigrette dressing and warm yeast rolls. Choose from our selection of delicious entrées; spinach stuffed chicken with a creamy parmesan sauce, seasoned pork loin served with a tart raspberry glaze and portobello mushroom tower stuffed with smoked peppers, spinach and parmesan cheese. Complete your feast with a tasty rich white chocolate cheesecake covered with fresh berries! Served buffet style guests can mingle, relax, indulge on delicious food and greet the New Year in style! Adults 21 and over only. Dinner Train tickets are $135 per person (plus tax & gratuity). 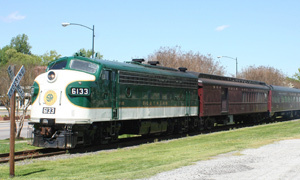 Three hour trip departs at 9:00 pm at the historic Bryson City Depot. Advanced reservations & 72 hour cancellation notice are required. PLEASE CALL FOR DRESS CODE INFORMATION. For more information and reservations call 800-872-4681 or WWW.GSMR.COM. Southbound Model Railroaders Open House: December 2-4!